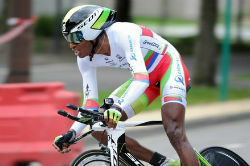 GreenEdge Rider Teklehaymanot Prepares for London 2012 in Eritrea | .:TesfaNews:. Daniel Teklehaymanot’s graduation to WorldTour level at Orica–GreenEdge this season has been a significant stride in Eritrean cycling’s progress at international level and he will continue in that pioneering fashion at the London 2012 Olympics on July 28. Like Colombia before it, Eritrea’s rich domestic cycling tradition had long been overlooked by the rest of the world, but in recent years, the East African country has begun to make an impact on the international stage, with Teklehaymanot its leading light. The 23-year-old has been a dominant force in African cycling in recent years, winning the continental road title in 2010 as well as back-to-back crowns in the time trial and team time trial, but it was his performance at the 2009 Tour de l’Avenir that first saw the major European teams sit up and take notice. Riding for a UCI World Centre selection, Teklehaymanot rode to an impressive 6th overall behind Romain Sicard and Tejay van Garderen, and was set to join Cervélo TestTeam at the end of the following season, only for the outfit to disband due to financial problems. After another year in Aigle with the UCI, Teklehaymanot did reach the ProTour ahead of the 2012 campaign when he signed for Orica-GreenEdge. Teklehaymanot was speaking in Châtel shortly after he had finished the Critérium du Dauphiné, and he acknowledged that the Alpine event had been the highest-quality race of his career to date. Teklehaymanot was particularly prominent on the front of the peloton on the opening road stage, as he put in a lengthy stint on the front in defence of teammate Luke Durbridge’s overall lead. Teklehaymanot’s spell at home in Debarwa coincides neatly with the Eritrean national championships and it’s testimony to the standard of domestic racing that he only could only manage 13th place in the road race twelve months ago. His elegant, almost languid pedalling style did carry him to the time trial crown, however, and he is hopeful of repeating the feat in 2012. As well as visiting family and friends, and chasing national titles, Teklehaymanot’s trip home will also allow him to fine-tune his preparation for the London 2012 Olympics. In Eritrea, altitude training is a necessity rather than an option. 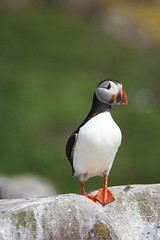 On his return to Europe, Teklehaymanot is slated to ride the Tour of Poland as his final warm-up ahead of London. In 2008, he even travelled to Beijing in the hope of being Eritrea’s first cyclist at the Games only to find that an administrative error meant that he hadn’t been entered. Four years on, there will be no such confusion as Teklehaymanot lines up as the standard-bearer for an emerging generation of Eritrean talent. Teklehaymanot may not have to wait so long: the fast-finishing Natnael Berhane has been tracked with considerable interest by at least one major European team. This entry was posted in News, Sport and tagged Daniel Teklehaymanot to the London Olympics, Debarwa, Eritrea, Eritrean Professional Cyclists, First Eritrean Olympic Cyclist, London Olympics and Eritrea, Natnael Berhane, Teclehaymanot and Orica-GreenEdge, Teklehaymanot and London Olympics. Bookmark the permalink.